* Due to NDA issues, the following excludes the works conducted at the Microsoft Applied Sciences Group. 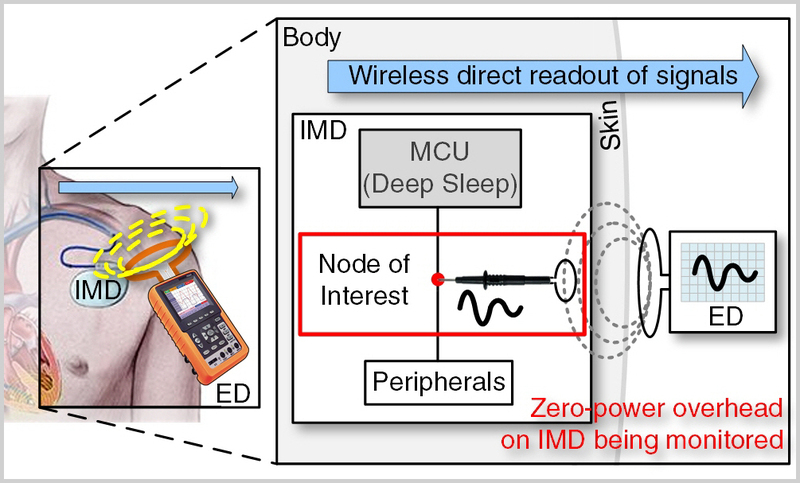 TeleProbe: enabling oscilloscope-like fine granularity analog and digital signals monitoring for implantable medical devices (IMD) with zero-power overhead on the IMD being monitored. SecureVibe: proposing vibration-based secure side channel between an external device and a medical device. 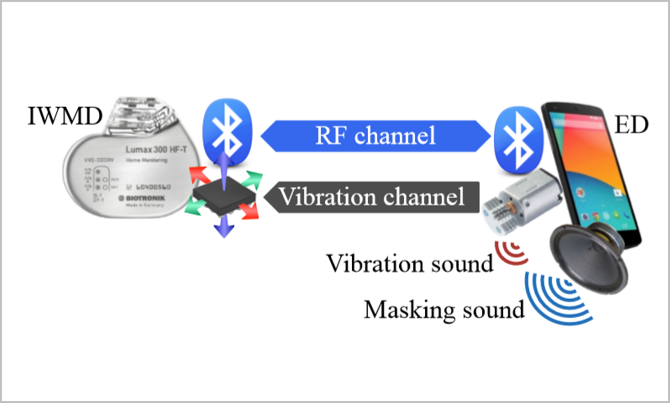 The intrinsic user-perceptible and short-range properties of vibration enable physically secure communication at low energy and size overhead. Senergy: perpetually operating battery-less micro-scale energy harvesting platform that multiplexes the purpose of a photodiode sensor into either a sensing element during an active time and a power source during idle time. 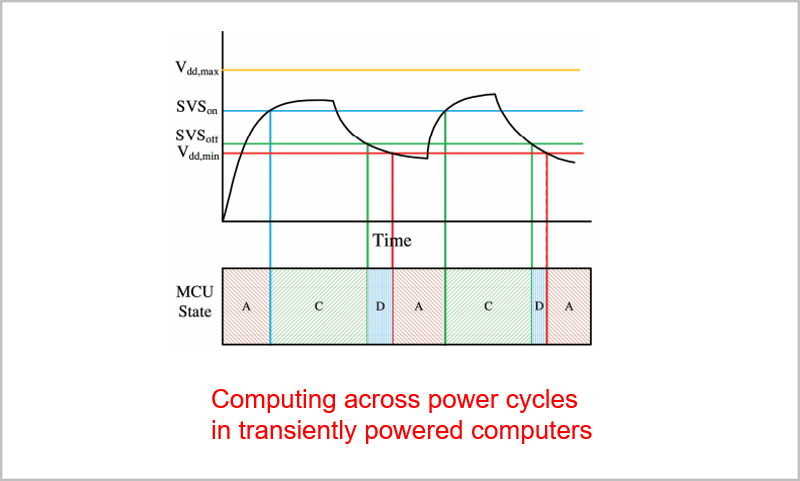 QuickRecall: HW/SW approach for computing across power cycles in transiently powered computers by storing and restoring the computation states into and from nonvolatile FRAM. 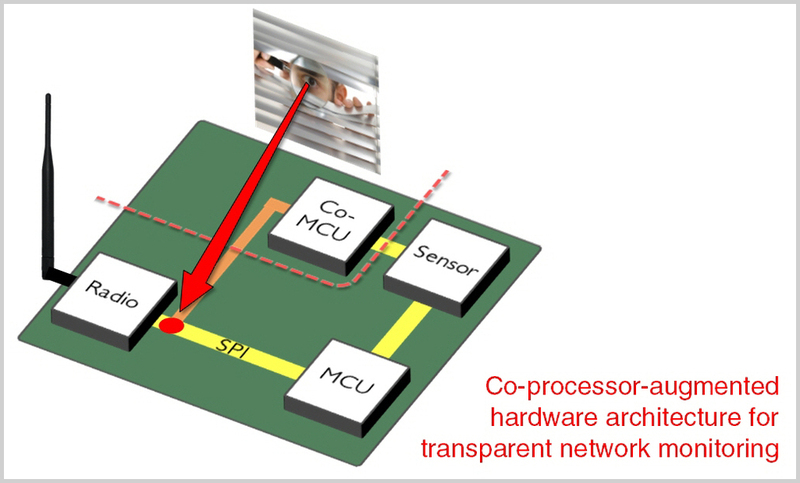 SPI-Snooper: co-processor-augmented HW/SW architecture that enables non-intrusive and transparent network monitoring in wireless sensor networks. 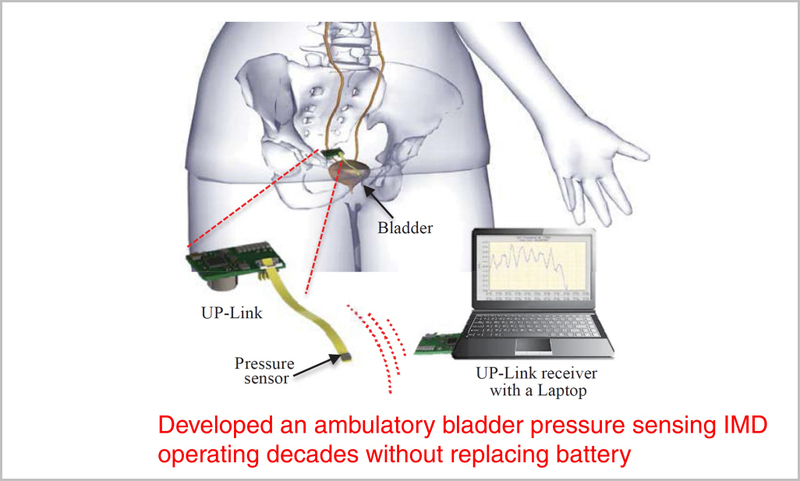 UP-Link: ultra-low power biomedical implantable wireless pressure sensor device measuring the internal pressure of bladder for 13 years without battery replacement (1 packet transmission per an hour). Demonstrated proven reliability from in-vivo animal test. 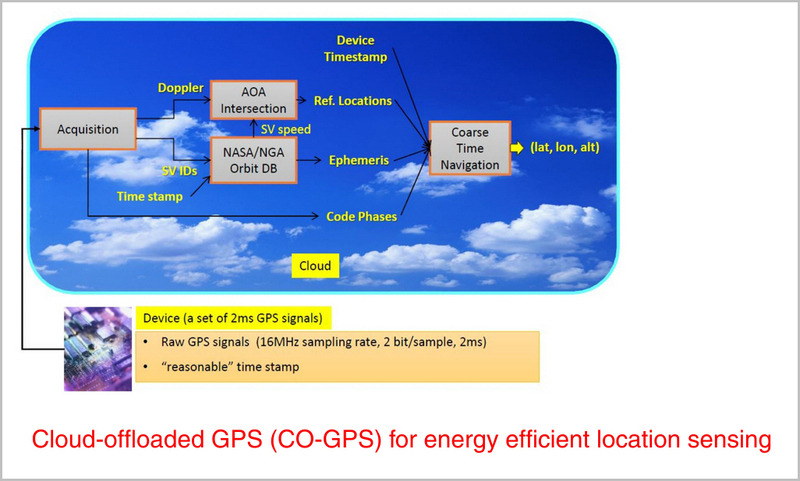 CLEO: HW platform for location sensing, which leverages the proposed cloud-offloaded GPS (CO-GPS) technology. Achieves three orders of magnitude less power consumption as compared to the conventional GPS technology. 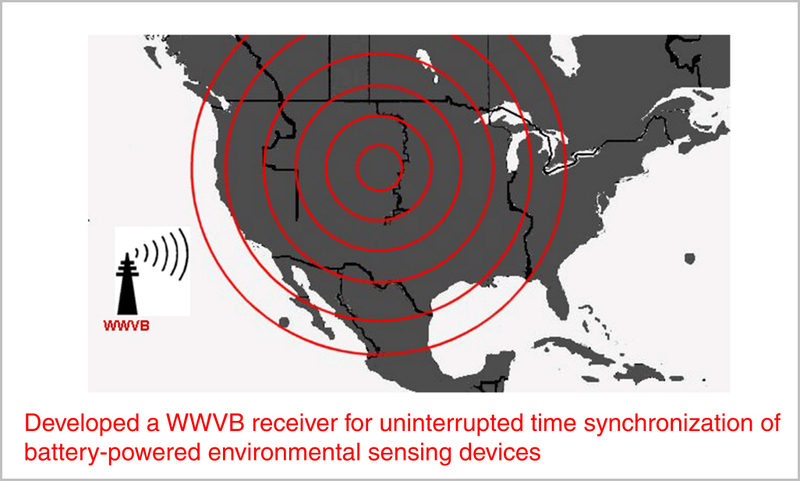 Wireless global clock receiver that captures WWVB radio-controlled time sync signal. Enables globally synchronized operations for a highly geo-distributed environmental sensing systems where post-deployment time synchronization is infeasible. 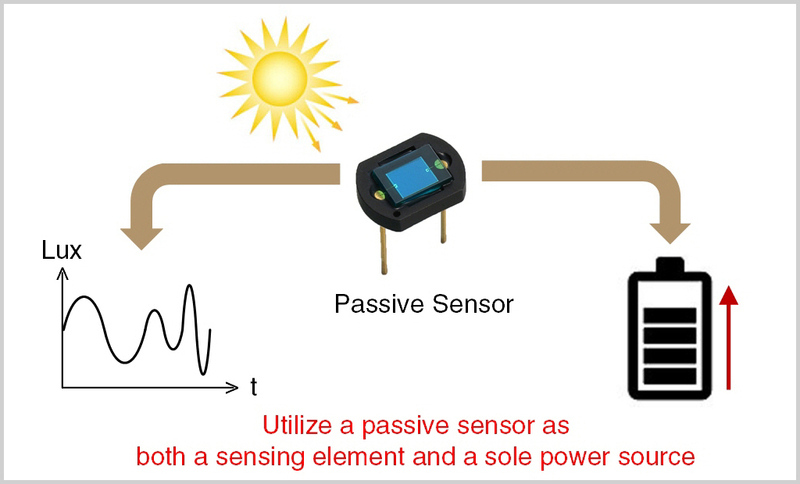 Research on the architectures and protocols of wireless sensor networks for home automation. 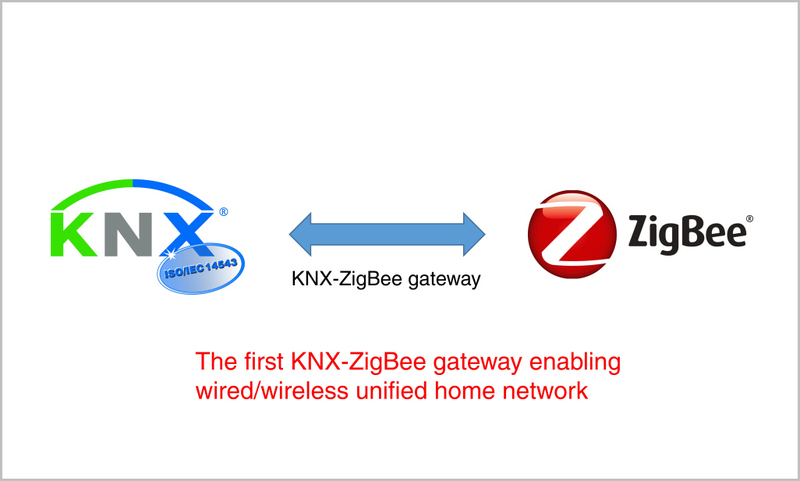 Developed a wired-wireless (KNX-ZigBee) unified home network system that achieved maximized energy efficiency as well as user convenience. Interoperability is one of the key properties toward the wide adoption of control networks technology in the market. 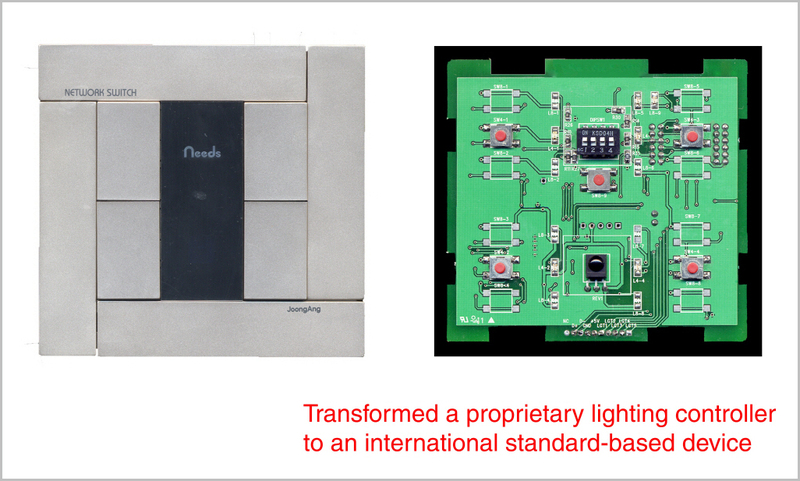 Developed a network stack to transform proprietary protocol-based devices into an international standard (KNX) compatible devices. 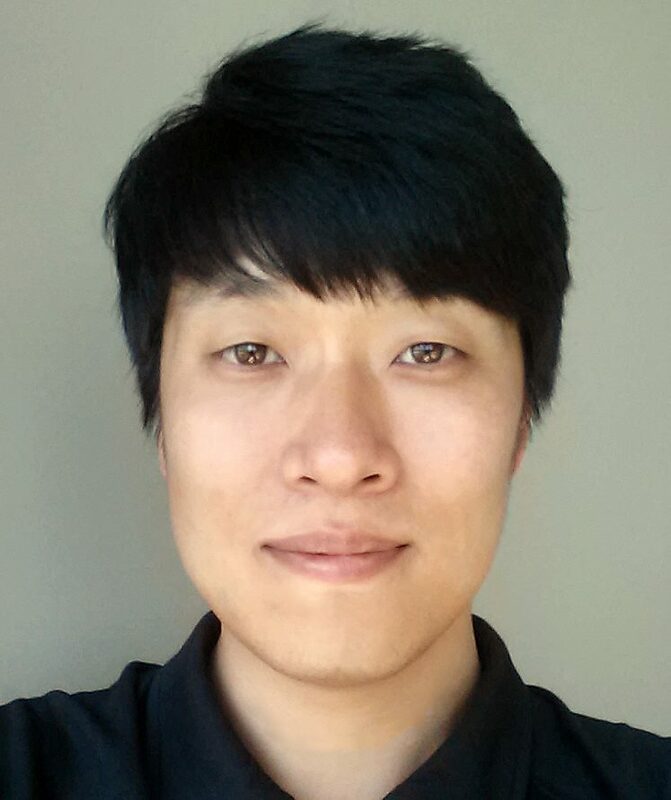 Research on the architectures and protocols of wireless sensor networks for building automation. 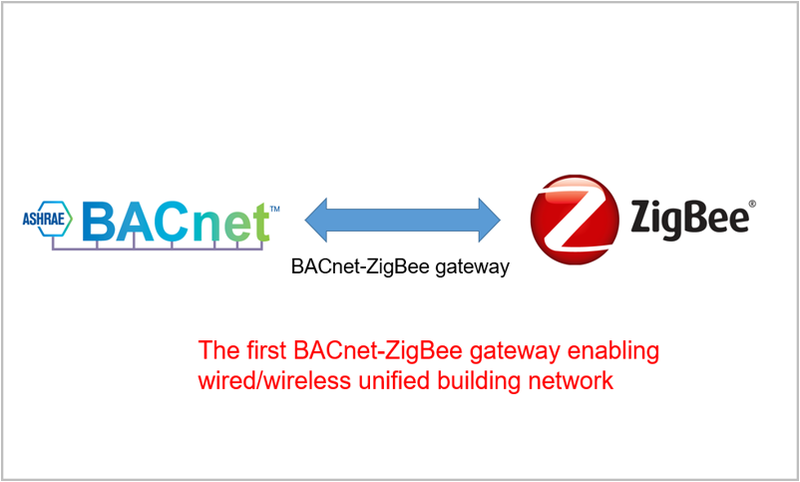 Developed a wired-wireless (BACnet-ZigBee) unified building network system as a core infrastructure for Smart-grid. 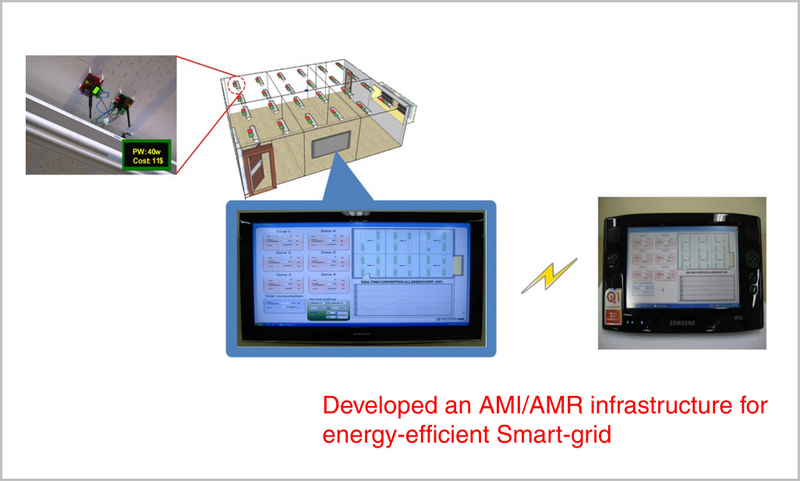 As a core application that demonstrates the use of Smart-grid technology, developed an energy-efficient lighting control system that operates a demand-responsive algorithm on the BACnet over ZigBee infrastructure. 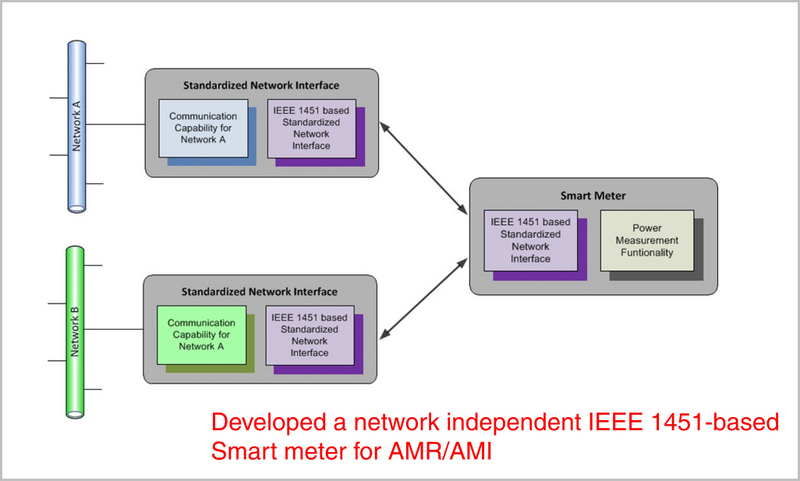 The smart-meter is a wall outlet pluggable wireless power measurement device built based on the IEEE 1451 (Smart Transducer Interface) standard. It decouples the network protocol dependency by adopting a standardized network interface. 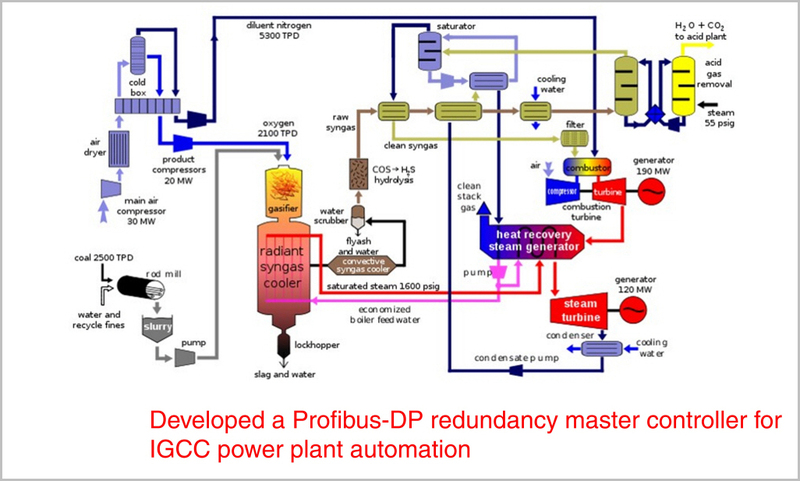 For maximized reliability and availability in the gasification power plant operation, developed a PROFIBUS redundancy switch that supports seamless transition between operational- and backup-masters. 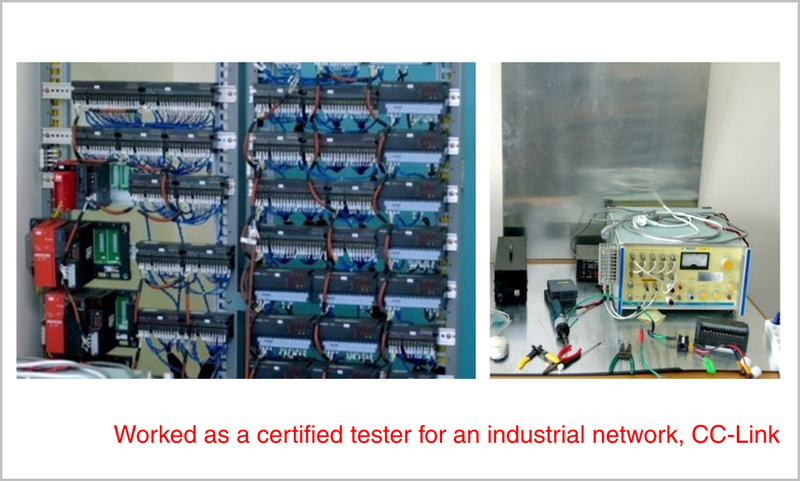 As a certified testing engineer of the accredited CC-Link testing facility, conducted conformance tests for every commercial CC-Link control network devices newly developed in South Korea. Worked as a delegate of Korea and an organizing secretary for IEC and KATS, respectively, to standardize an industrial network protocol, RAPIEnet. 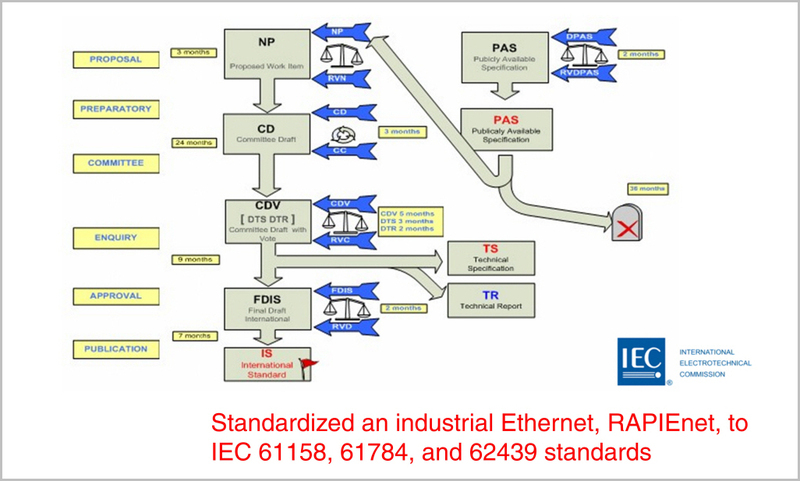 As a member of the standardization task force, I standardized an Ethernet-based industrial automation network protocol, RAPIEnet, as IEC/PAS 62573.